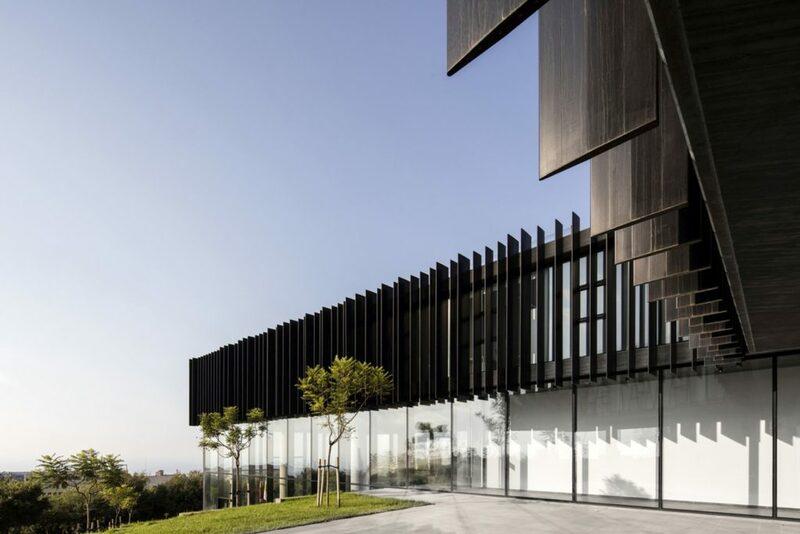 Designed by Fouad Samara Architects with contracting work by RK Engineering, the Sheikh Nahyan Bin Moubarak Al Nahyan Centre for Arabic Studies & Intercultural Dialogue (CASID) is an addition to the University of Balamand. 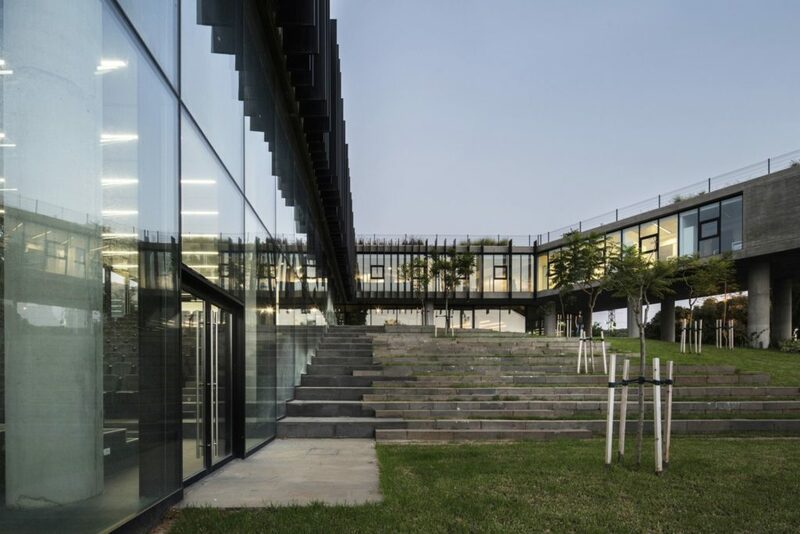 The design of CASID evolved from the concept of dialogue, and the building aims to engage faculty, students and visitors alike, as well as represent a non-authoritarian accessible platform for cultural and intellectual exchange. 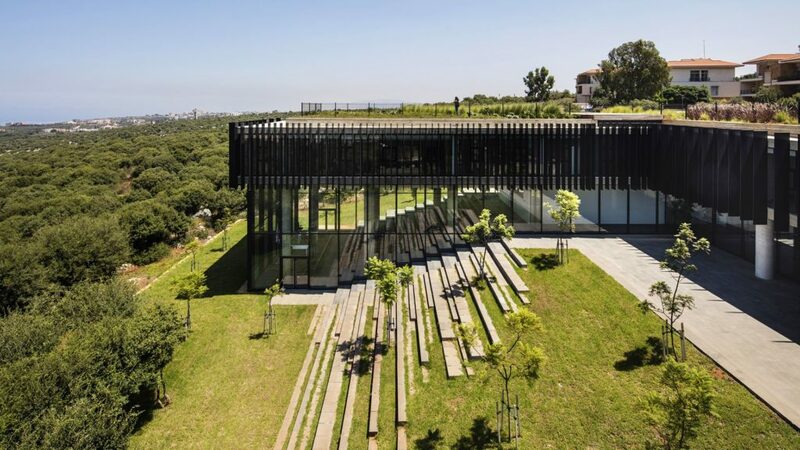 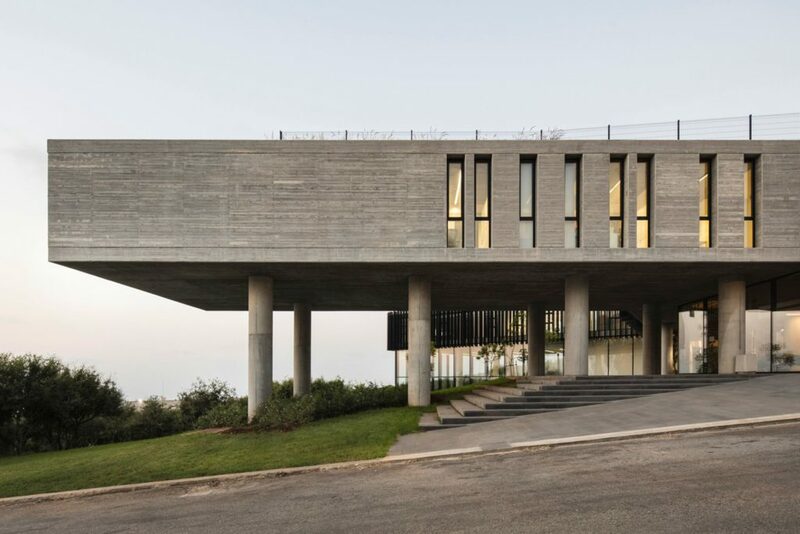 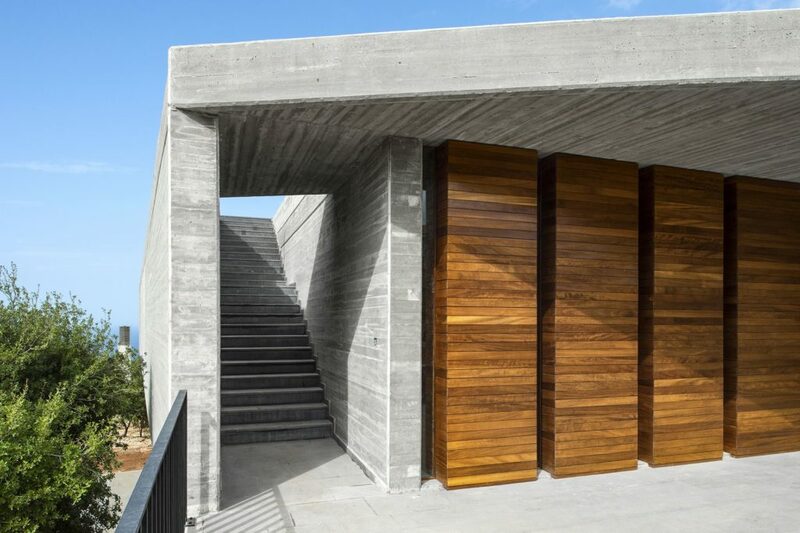 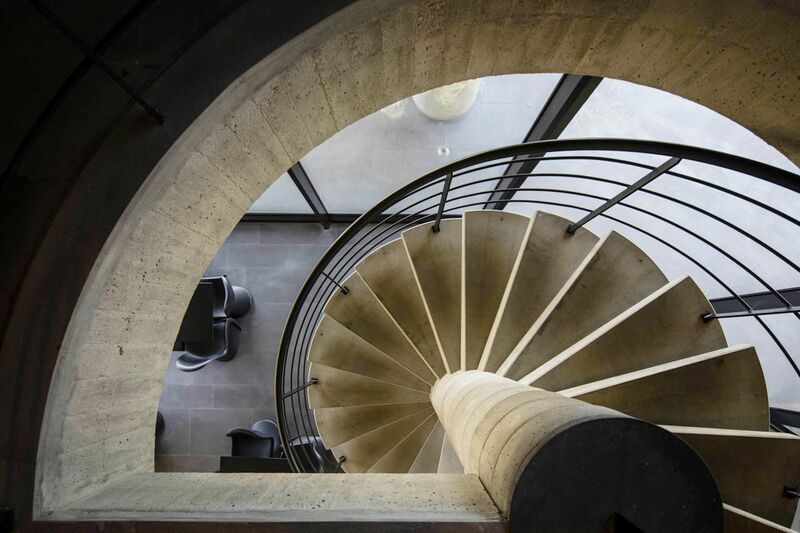 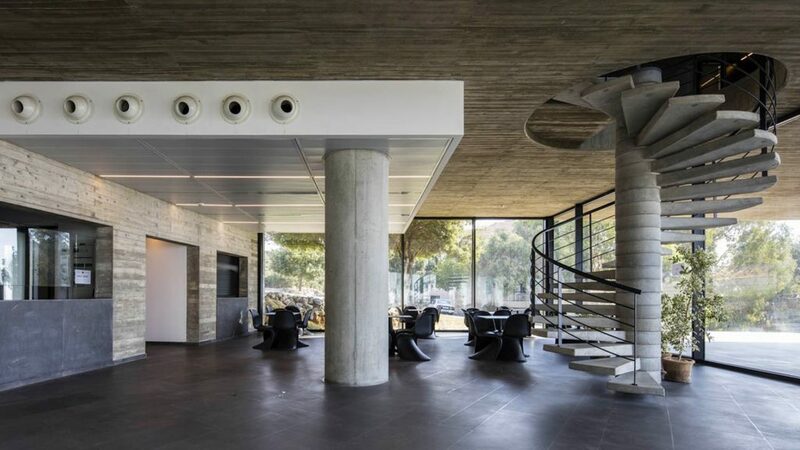 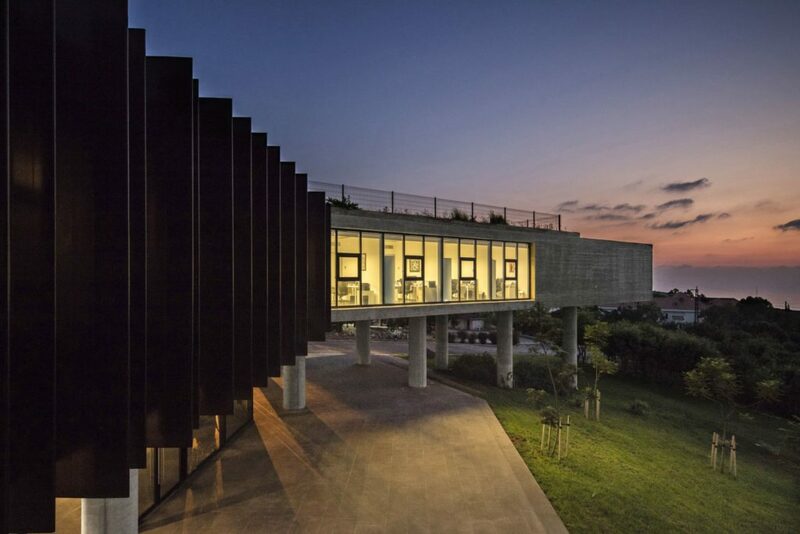 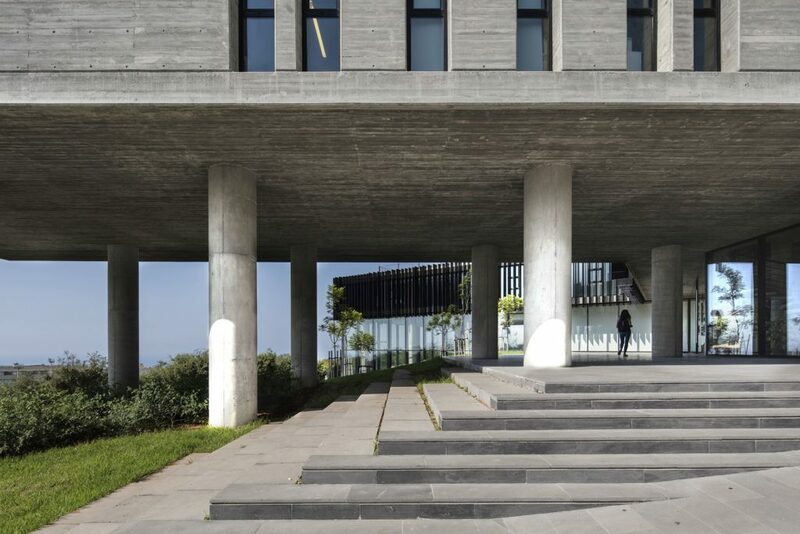 Located on a gently sloping site with an unobstructed view of a walnut grove, the campus in the foreground, and the Mediterranean Sea beyond, CASID is designed as a modern interpretation of the traditional courtyard buildings of the Levant. 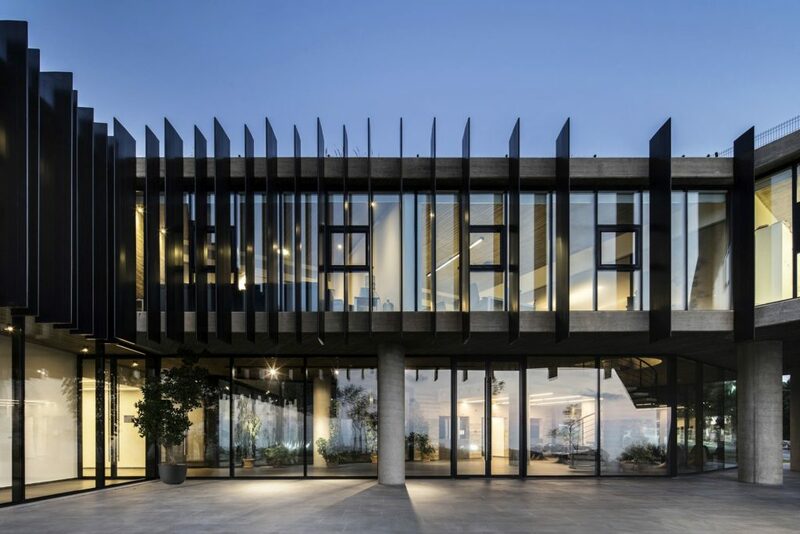 The building is accessible from all sides, symbolising its role as a nexus of exchange and accessibility to all. 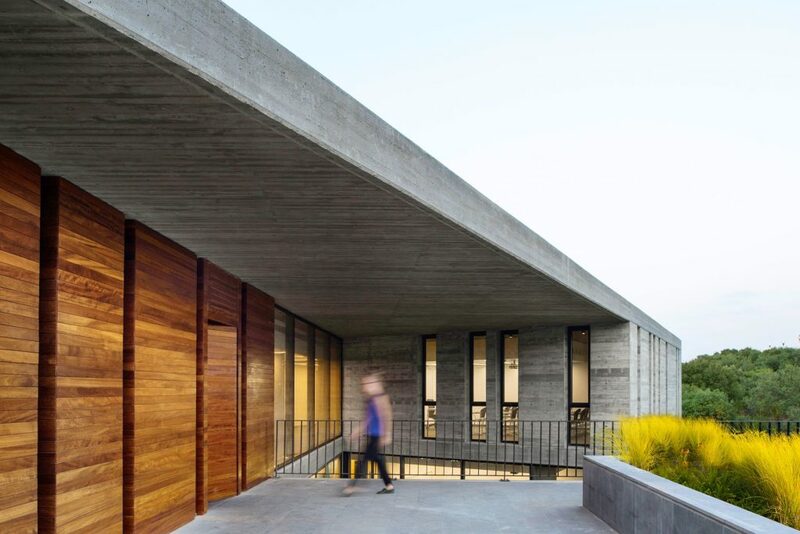 An open courtyard oriented towards the West, follows the slope of the natural terrain with an amphitheater created within it, while the roof of the building is seen as another elevation. 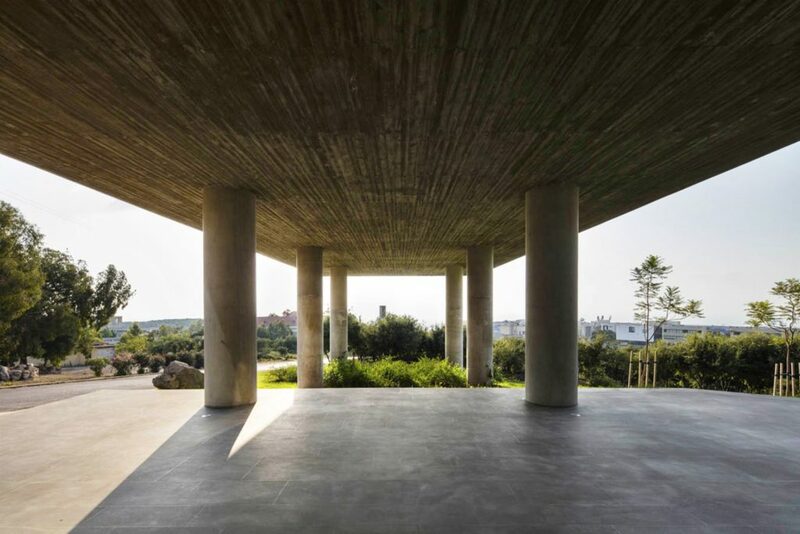 The roof is clearly visible from the hills above and around, and therefore developed into an accessible green roof for preserving the planted heritage of the site, and providing another public space with unparalleled views. 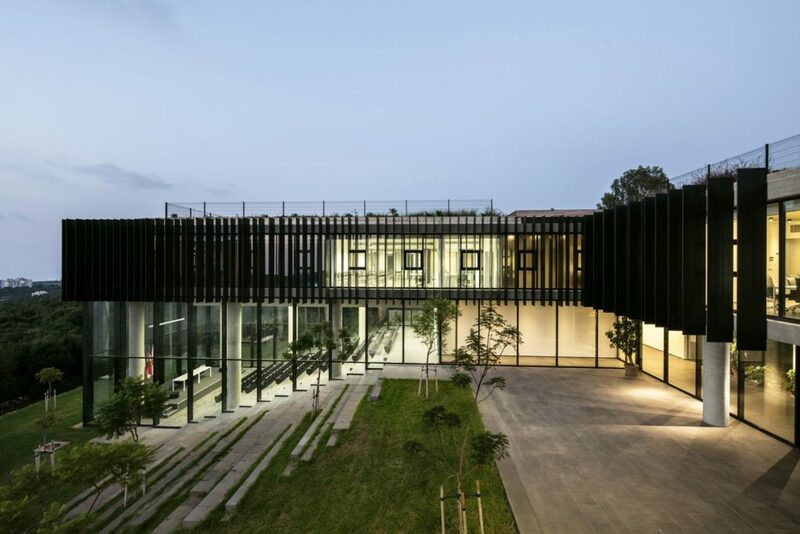 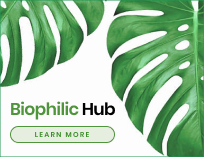 By applying a stringent design process, the materials pallet chosen for CASID was left simple and precise. 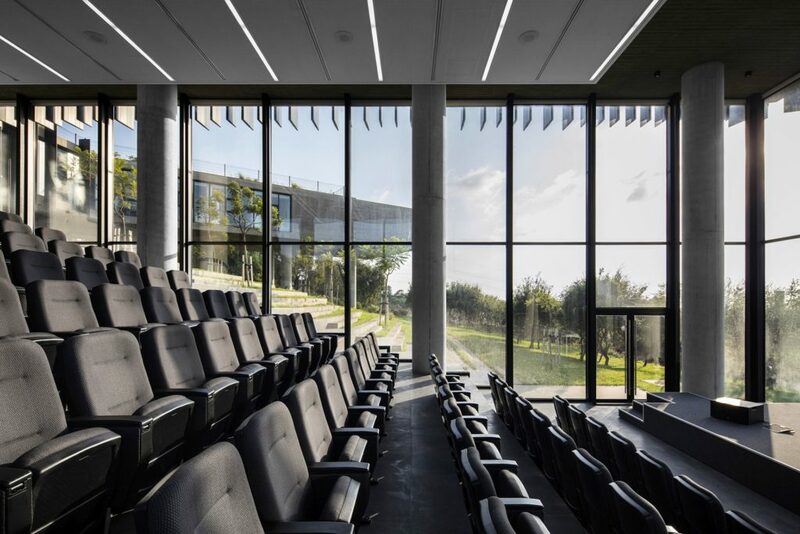 Glass is used to bring natural light and ventilation into the building, but also to have the spaces within engage with the surroundings and provide continuity. 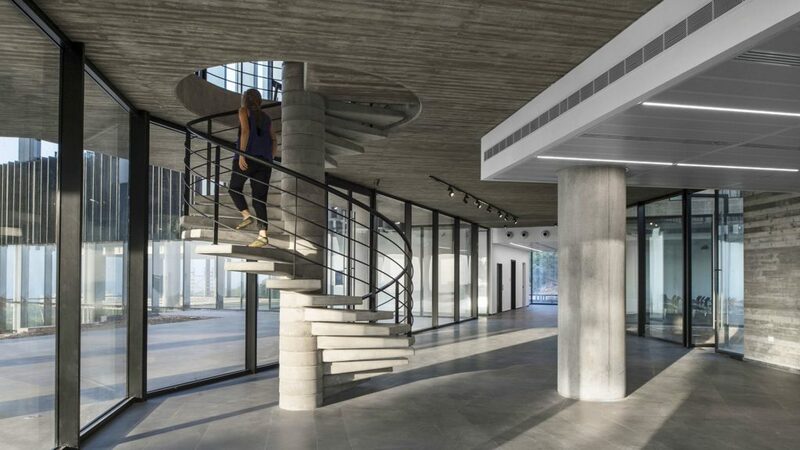 Internal partitions between offices and classrooms are white painted plastered walls, while partitions to corridors are in aluminum framed glass. 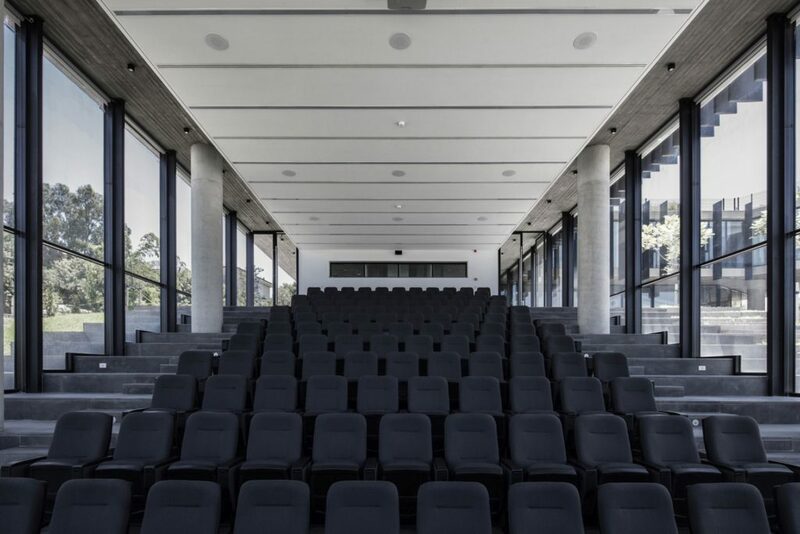 Non-structural walls and suspended ceilings are painted white while floors, both in and out, are in Basalt. 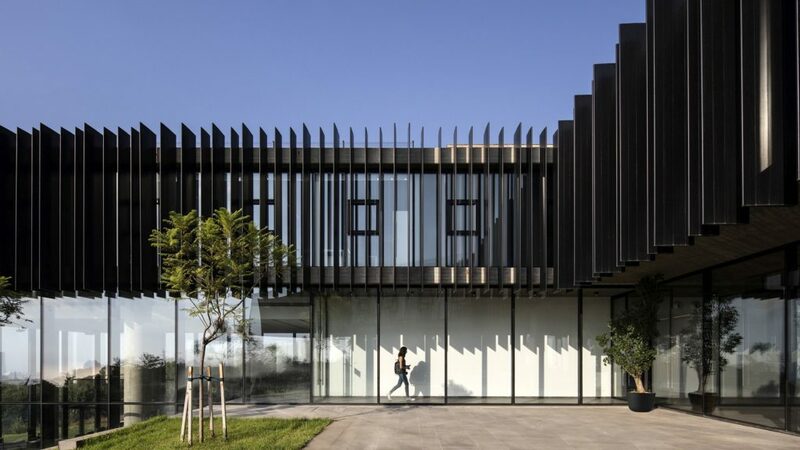 Façades facing south and west have sun baffles, articulated in both spacing and size, as a modern and abstract interpretation of Arabesque – a play on the size and rotation of geometric forms.